Chainlink™ sunglasses are for those men looking for active sunglasses that can stand up to the pace of life away from the field of play. Polarized. Grey Smoke with Oo Red Iridium Polarized Lens. 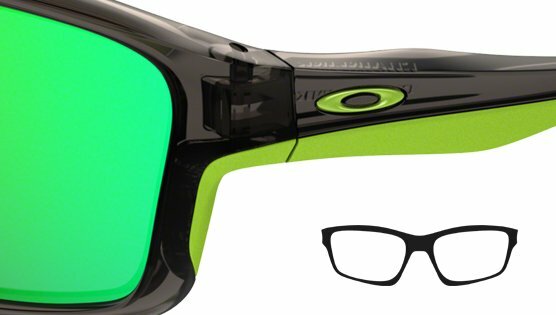 Evolving from the Oakley Crosslink™ frame the Chainlink offers the active man an option to go from the playground of life to the sports ground of choice and viably make a difference. A 6 base frame, this style offers the wearer all day comfort from the stress resisting O-Matter lightweight frame material. It provides additional comfort thanks to Three-Point fit and the optical clarity is pure.